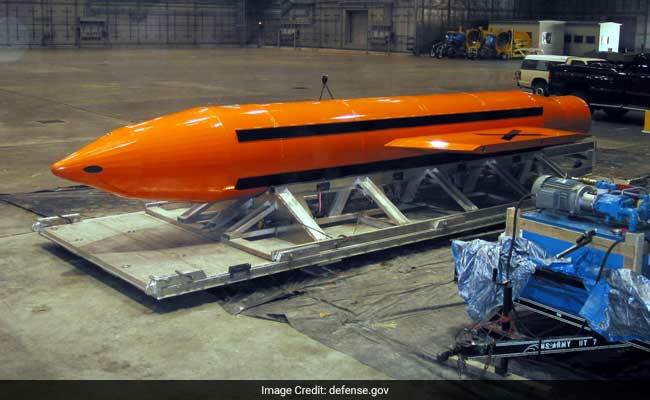 The United States dropped a massive GBU-43 bomb, the largest non-nuclear bomb it has ever used in combat, in eastern Afghanistan on Thursday against a series of caves used by ISIS, the military said. Also known as the "mother of all bombs," the GBU-43 is a 21,600 pound (9,797 kg) GPS-guided munition and was first tested in March 2003, just days before the start of the Iraq war. The Air Force calls it the Massive Ordnance Air Blast bomb. 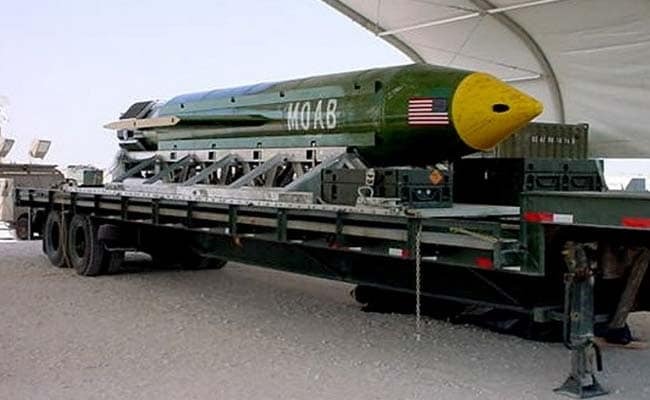 Based on the acronym, it has been nicknamed the "Mother Of All Bombs". Pentagon spokesman Adam Stump, said it was the first-ever combat use of the bomb, known as the GBU-43. This, he said, contains 11 tons of explosives. 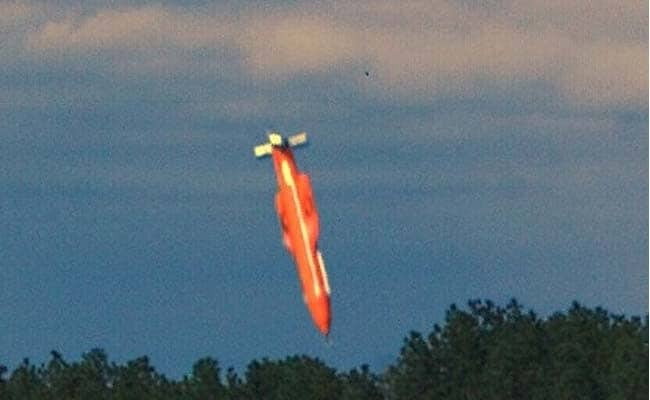 At around 7 pm local time in Afghanistan last night US military used GBU 43 weapon. "We targeted tunnels and caves used by ISIS fighters to move around freely...Took all measures to prevent collateral damage and civilian casualties," said White House Press Secretary Sean Spicer. He further added,"We must deny them (ISIS) operational space, which we did." General John Nicholson, the head of US and international forces in Afghanistan, said the bomb was used against caves and bunkers housing fighters of the ISIS in Afghanistan, also known as ISIS-Khorasan. "This is the right munition to reduce these obstacles and maintain the momentum of our offensive against ISIS-K," Nicholson said in a statement. He added, "As (ISIS-Khorasan's) losses have mounted, they are using IEDs, bunkers and tunnels to thicken their defence." According to the Air Force, the last time the MOAB was tested in 2003, a huge mushroom cloud could be seen from 20 miles (32 kilometers) away. It was not immediately clear how much damage the bomb did.Last week, a US soldier was killed in the same district as the bomb was dropped while conducting operations against ISIS.